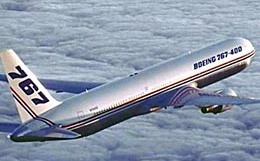 The Boeing 777-300, a stretched version of the 777, features increased cabin length, takeoff weight, and baggage capacity. 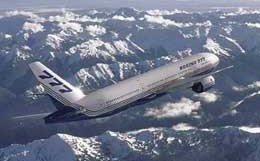 Designed as a replacement for 747-100 and 747-200, the Boeing 777-300 is equipped with a 33.3 ft fuselage stretch, allowing seating of 328 to 394 passengers in a typical three-class cabin layout, or 550 passengers in a single-class cabin layout. 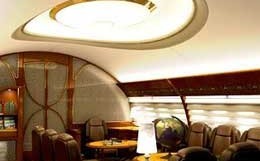 For more information about chartering, leasing or buying a Boeing 777-300 please contact us by calling +44-20-3874-8091 or send us an email here.